This woman suffered a stroke 7 months ago and was completely paralyzed on one side of her body. The Lord healed her instantly when we prayed for her. Her husband, her daughter and people from the village were all rejoicing and thanking Jesus! Ben Dunn shares the story of how his wife Stephanie was healed of paralysis. The doctors had given her up to a wheelchair for the rest of her life, or at best, a walker or cane. Miraculously healed by supernatural glory of the Lord, in Jesus' name. 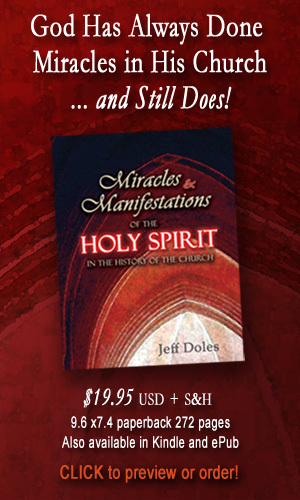 I am thrilled to no end to have in my hands a wonderful book written by Jeff Doles, Miracles and Manifestations of the Holy Spirit in the History of the Church. 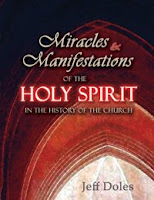 This book provides documentation of the operation of spiritual gifts and manifestations of the Holy Spirit throughout the history of Christianity, just what I have been seeking for a couple of years. As a Spirit-filled pastor of a Southern Baptist Church, I often encounter people who have been misled by erroneous doctrines and misconceptions about the Holy Spirit and His present day ministry in and through Christians. 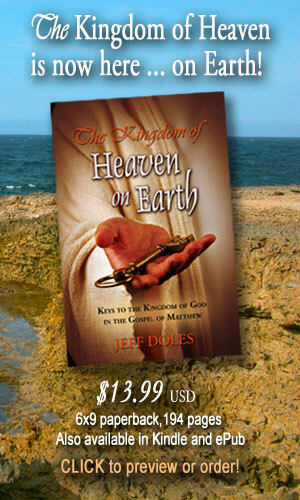 While this book does not present an argument against Cessationism; it does present a concise record of healings, miracles, and manifestations of spiritual gifts throughout the centuries since the ascension of Christ. There is abundant testimony given to demonstrate that the Holy Spirit has operated through both ordinary believers and ministers of the gospel when they dared to believe the promises of Christ in the Word of God. My heart soars like a hawk as I read of the mighty manifestations of the Spirit in the lives of His people through the ages. I just read through a section relating multiple incidents of the word of knowledge in the ministry of Charles Spurgeon and of miracles, healings, trances and visions, and people falling out under the power of God in the ministry of John Wesley. This is an excellent resource for any minister who hungers for the power of God to be demonstrated in his life and ministry. Without doubt, this book will stir your heart, enlarge your vision for the work of Christ, and encourage you to trust God for miracles and healings today.